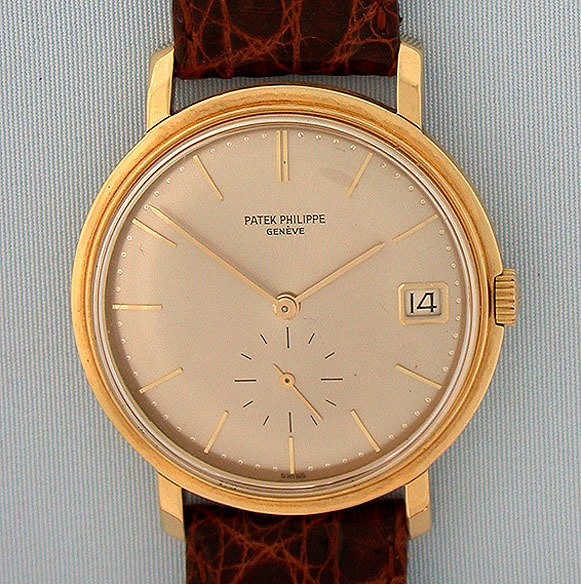 Fine Fine Swiss Patek Philippe reference 3445 waterproof 18K automatic calendar vintage wrist watch circa 1969. 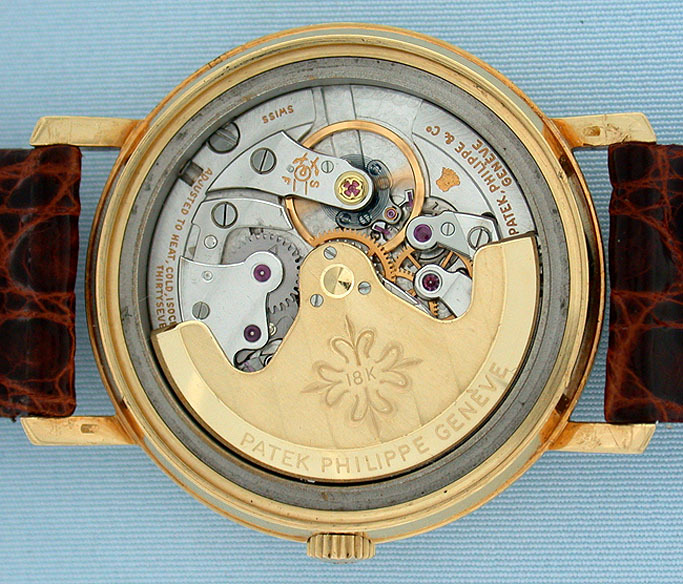 Original silvered dial with applied gold markers and gold hands. 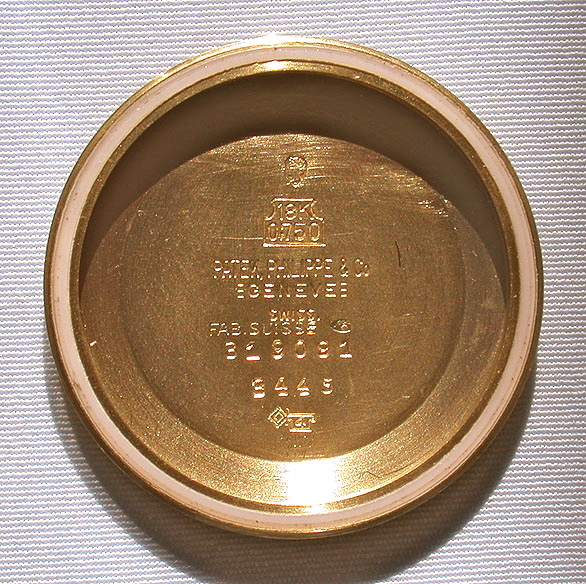 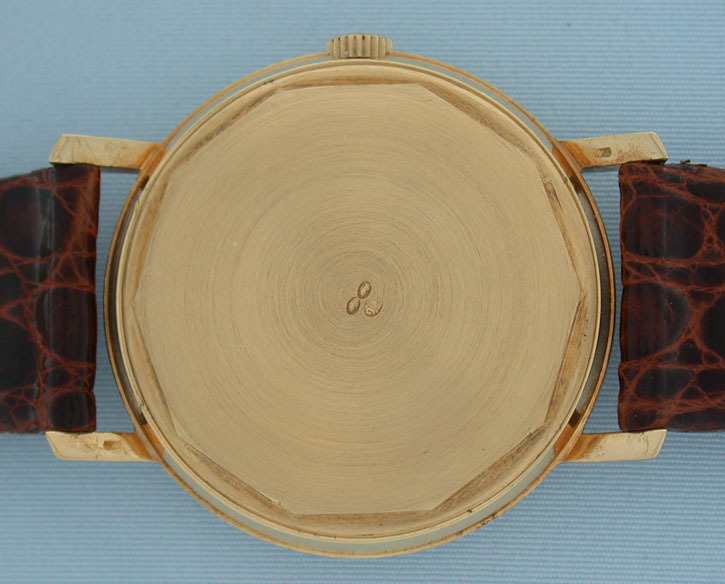 The case with downward sloping lugs, original gold crown, and screw back. 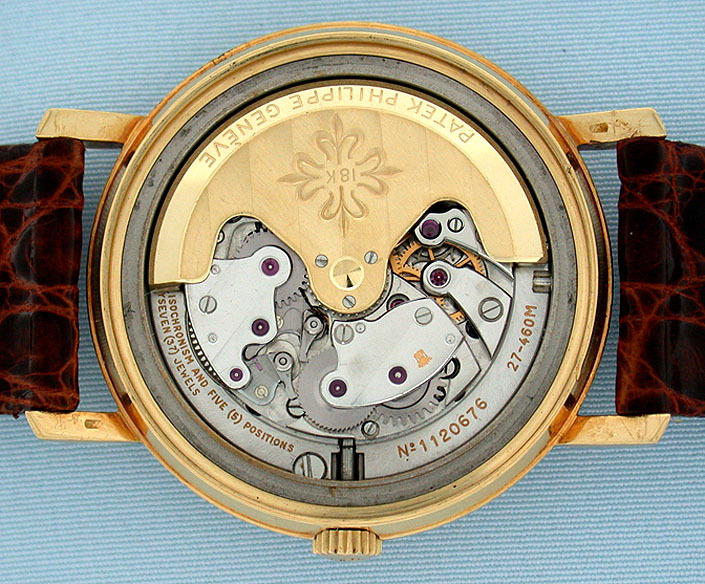 Nickel 37 jewel 8 adjustment automatic movement with 18K gold rotor.